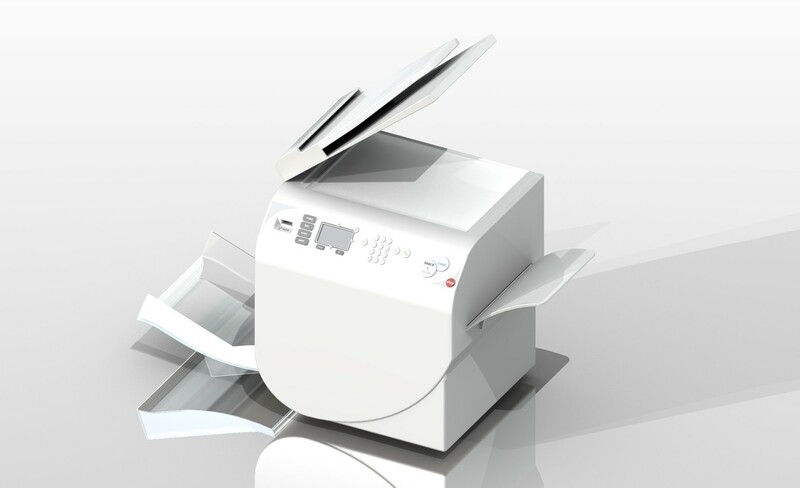 In this project we researched existing usability problems with a Samsung multifunctional printer and created and redesigned accordingly. The process consisted of three phases: studying the current multifunctional printer, the development of a conceptual design, and the final redesign with the “left to light” philosophy. The first study was designed to test the current state of the product from a usability and aesthetic point of view. The results showed that the major usability problems were related to the interaction with the paper trays, as well as lacking feedback and feedforward signs. Another problem was the visual and interaction balance of the interface. Last but not the least; the device failed to effectively communicate its multifunctional identity. During the redesign phase, the interface was completely redesigned with special emphasis on the mode buttons, overall navigation and the placement of special features like the USB hub. To guide users better in their interation with the printer, we implemented subtle lightning to indicate where on the machine something was happening. The design was turned into a wizard of oz prototype (where a person sits within or under the prototype to simulate the mechanics and technology being present in the real product). The evaluation showed that the interface provided a more balanced and sequential interaction (although some graphical adjustments were needed). The multifunctional identity of the product was more obvious to the users thanks to the clear presentation of the mode buttons. The lighting mechanism implemented did not reach the success level expected, and needed to be adjusted. Users seemed to trust the product more thanks to features such as a help button and proper feedback and feedforward messages displayed on the interface. Overall, it can be said that the redesign had reached a level where it took little time to get used to and make sense out of the products functions and operations.